See Inside Antique Bazaar of Strathalbyn, South Australia’s premier country Antique Market, only a 45 minute drive from Adelaide. View the Virtual Tour below and visit our store this weekend to have a good look around. Antique Bazaar of Strathalbyn is located in the main antique precinct of Strathalbyn and is the largest Antique Store in town. Established in 2004, the store is highly regarded by many of its loyal customers. It has a spacious, well designed and clean air conditioned showroom, offering a pleasurable shopping experience all year round. 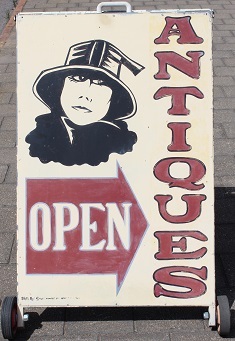 A great place to fossick through to find the perfect antique gift or just spoil yourself with a valuable treasure. Check out the fabulous range of Antiques and Collectables available for sale in store and online. Our friendly staff look forward to welcoming you to our store and being of service to you. The charming historic town of Strathalbyn on the beautiful Fleurieu Peninsula is one of the prettiest towns in South Australia. It has maintained its charm and village-like setting and is a thriving heritage listed country town. Strathalbyn is also known as the unofficial antique capital of South Australia. Our town has numerous antique shops, bric-a-brac outlets, op-shops and second-hand book stores. You’ll find that most antique stores are concentrated in High Street, with other second-hand shopping opportunities located in the side streets off Dawson Street. The quality and variety of the antiques in Strathalbyn even brought Bargain Hunt Australia and Australian Pickers to film in Strathalbyn. Furthermore, Strathalbyn offers a wide variety of shopping and events and some of the best food, wine and recreation in the state. Our town is 57kms southeast of Adelaide on the banks of the River Angas, in the Fleurieu.